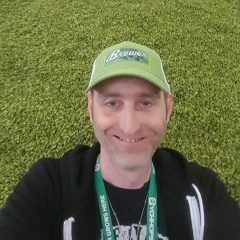 Homebrew Happenin’s - What the heck is a Wheatwine? What the heck is a Wheatwine? Winter for me means sipping a strong beer indoors with friends. I have some barleywine stashed away from last year that I will be bringing out but I will be making something new to cellar for next year. I was considering a Russian Imperial Stout at first but after some consideration I have decided to go the route less traveled. Wheatwine. “What is wheatwine?” you may be asking. Well, it’s like a barley wine but uses a large amount of wheat malt. With as much as 50% wheat malt this beer will have a medium to full body with a silky mouthfeel. Wheat Wines are described as being a high alcohol sippers with a significant grainy or bready flavour. Complexity comes from the malt, hops, fruity yeast character, and alcohol. Wheat Wine now has it’s own category in the BJCP guidelines, 22D. The guidelines for this style indicate that IBU should be between 30 and 60. Of course I have increased that substantially as I prefer lots of hops. To make a more authentic version use half as many hops as I have in my recipe. Mash at 65 degrees C for 60 to 90 minutes. Collect enough wort to end up with 22 litres after the boil. Boil for 60 min. Add 65 grams of Galaxy hops (14.6 AA) at beginning of the boil. Add 25 grams of Chinook (13 AA) for the final 20 minutes. Add 34 grams of Centennial (8.5 AA) and 50 grams of El Dorado (14.6 AA) during the whirlpool or while the wort is chilling. Pitch with San Diego super yeast. OG should be close to 1.113 and FG around 1.020, providing about 12% ABV. IBU is calculated to be 128.9. This beer should age well so put a few bottles away for next winter. Now go make some beer!